The Emergency Services Show has always been keen to work with and promote the services that charities, voluntary groups and NGO’s can offer the bluelight services. The Collaboration Zone within The Emergency Services Show does just that – you can meet with almost 120 and charities who offer crucial support to the emergency services. Seminars will take place inside the show both on 19th and 20th September. Listen to the interviews to some expert who will hold a speach during the show. We are delighted to be launching the ZOLL EMS Challenge at the Emergency Services Show. The EMS Challenge will be an interactive experience where all participants will have the opportunity to experience ZOLL’s advanced technologies first-hand. The challenge features four stations for delegates to complete. The first station will enable participants to ‘Respond to a Virtual Rescue’. Utilising virtual reality to experience a simulated cardiac arrest rescue you will be able to see how the power of Real CPR Help® on the ZOLL AED 3™ guides lay rescuers in the performance of high-quality CPR. The second station features the X Series®, our compact and lightweight defibrillator/monitor designed specifically for the EMS market. Again utilising Real CPR Help you will be guided to ‘Perform High-Quality CPR’ and debriefed on your performance utilising RescueNet® CaseReview. 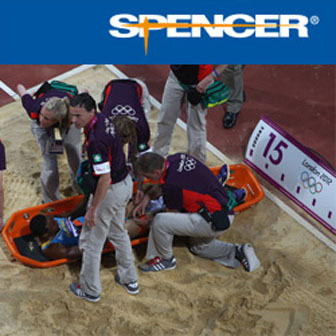 Participants will then ‘Take Resuscitation on the Move™’ by deploying the AutoPulse® and integrated Quick Case, which when unfolded becomes a lightweight soft stretcher, allowing for uninterrupted high-quality CPR whilst moving, even through challenging spaces and tight corners. Finally, ‘Experience Real-time Remote Viewing’ on the X Series. This advanced technology puts an expert at the scene of every EMS call by wirelessly transmitting physiologic data and waveforms. If you haven’t registered to attend the Emergency Services Show yet register for free today, and make sure you come and see us on stand L57. Everyone who visits our stand and completes the EMS Challenge will receive a FREE T-SHIRT.